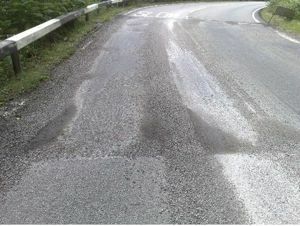 At Motorcycle Law Scotland, we understand the impact a defective road surface has on your ability to handle your machine - an understanding we have gained through regularly riding motorcycles on the open road and in the towns and cities of Scotland, where we encounter exactly the same problems as every other motorcyclist on our roads network. Motorcyclists who lose control as a result of a road surface defect are often left wondering who is to blame and whether they can claim for personal injury as well as any damage to their motorcycle and protective motorcycle clothing. To succeed, evidence is required of the specific nature of the road surface defect and any investigations must identify fault on the part of the roads authority, contractor or some other responsible organisation. Success in claims involving road defects very much depends on whether fault can be established, which often requires expert testimony. At Motorcycle Law Scotland, we have access to experts in road conditions and defects.